So the question comes up a lot about whether it is possible to get accepted into PA school with lower grades or an overall low GPA. If you work hard enough and apply widely and realistically, there is almost always a way to reach your goals, but that can be difficult when you're staring at some C's and D's and a number that is lower than you had hoped. It is discouraging to know you are going to be quickly judged and maybe not even considered because of some mistakes in school or a really difficult schedule. I hope to encourage you and provide some hope and tips for how you can still make your dreams happen. And thanks to Bhmbl from Reddit for some of the ideas in this post. 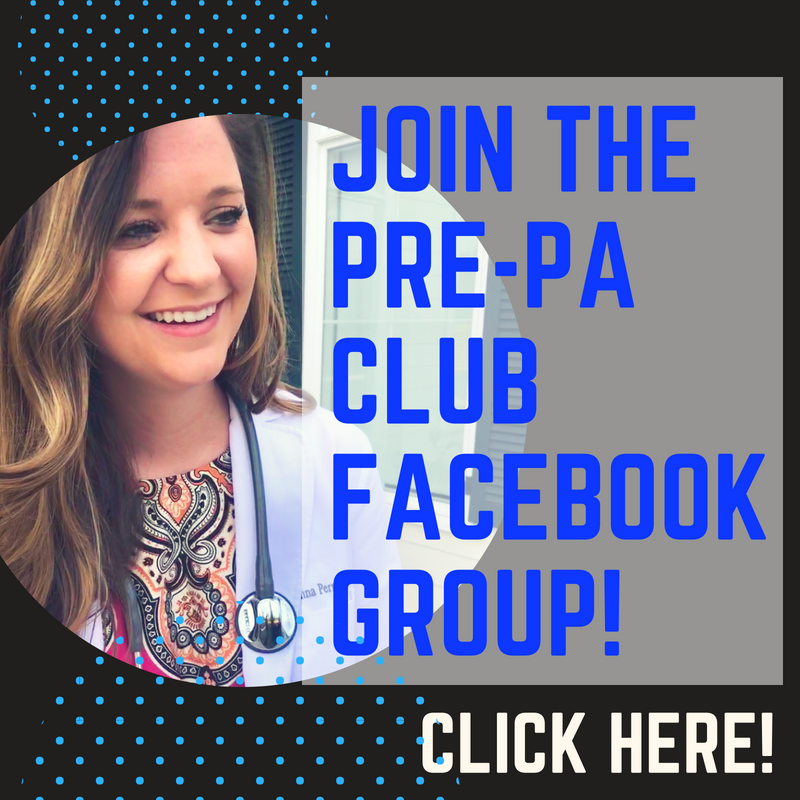 Make sure to check out the Pre-Physician Assistant page for an active forum with other Pre-PA students. When it comes time to apply, you have to look at your overall application and determine how competitive of a candidate you are. 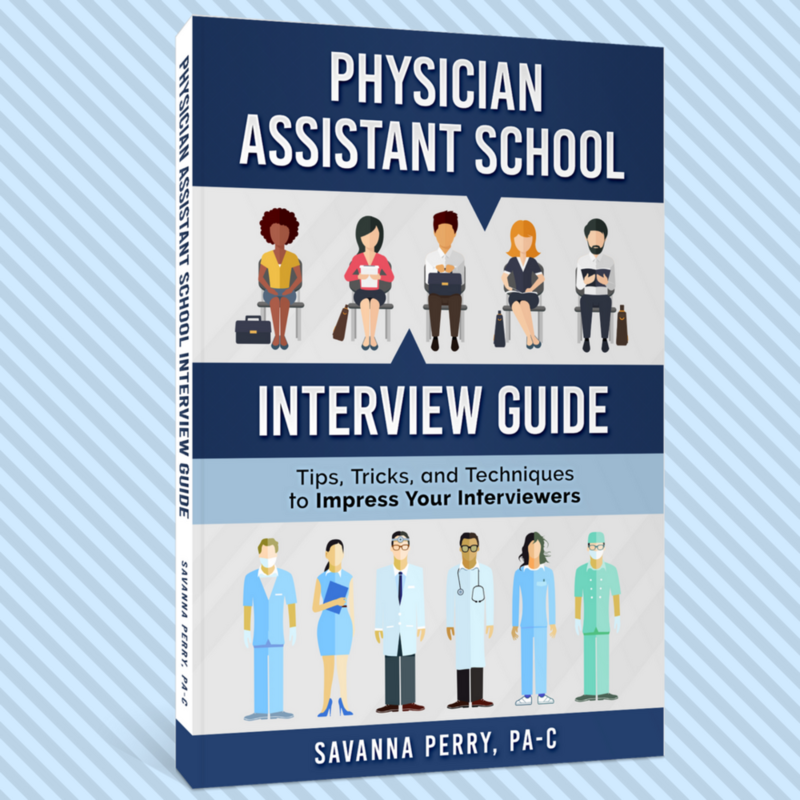 The main factors to take into account are GPA (overall and science), grades in prerequisite courses, GRE (if necessary), healthcare experience (HCE), other work or volunteer experience, and shadowing. Most schools will have a cut-off for the majority of these categories. I'll go ahead and say that if you do not make the minimum requirements, your application will likely never make it to the PA department. They use those numbers to weed out applications, and so that they can get the candidates that are most qualified. So if you have a 3.02, applying to a program with a 3.25 minimum will likely be a waste of your time and money. One of the best ways to make up for a lower GPA is to make the rest of your application shine. Thankfully, PA school places a huge emphasis on patient care or healthcare experience (PCE/HCE), so that gives you the opportunity to show that your experience makes up for where your grades fall short. In comparison, medical school focuses on GPA and the MCAT, and they often don't even require HCE, so if you don't make the grades, the chances are much lower for finding a medical school that is realistic. 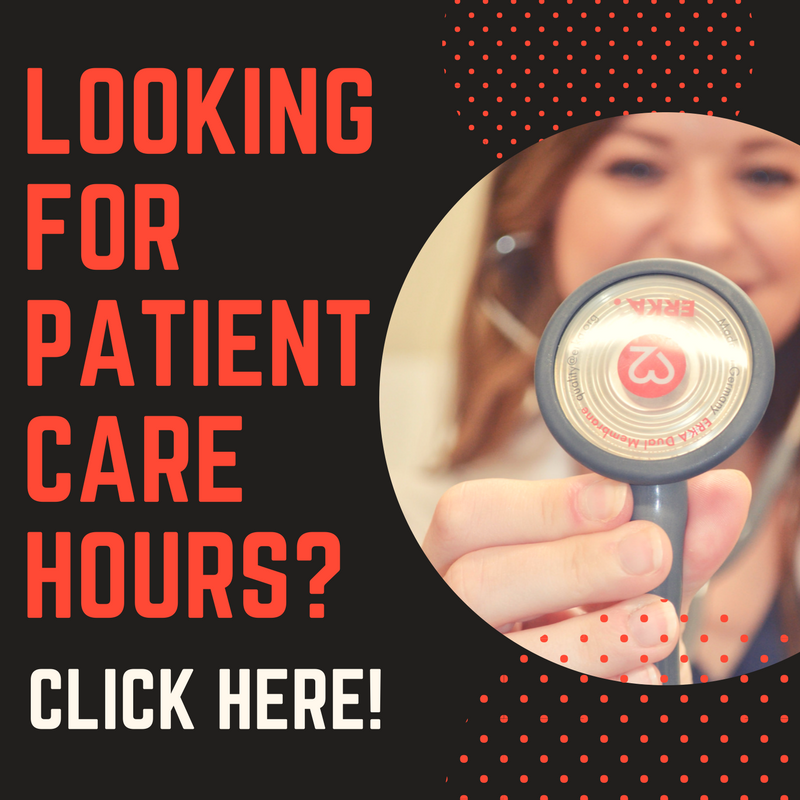 You want PCE that is going to be valuable and show that you have had good patient contact, so look into taking a class to become a certified nursing assistant (CNA), medical assistant (MA), or EMT. Although it may take you longer to get to the point that you feel comfortable applying, try to be patient, and know this process is a marathon. I also recommend doing some extra shadowing and trying to get really strong letters of recommendation. You want people who are familiar with you and who will write something that is both personal and positive. Your personal statement is going to be one of the most important factors in landing an interview. This is what will make the program really interested you, and your goal is to show them who you are in a way that makes the admissions committee want to meet you in person. While there are differing views on what to talk about in your personal statement, you can choose to discuss your lower grades or GPA if you feel like not addressing this may prevent you from getting an interview invitation. It's not a bad idea if you feel like you can address it in a way that does not look like you are making excuses, and shows how you have improved and overcome the situation. Your GPA or a bad grade should never be the sole focus of your essay. For more tips on how to address this, check out the free personal statement workshop offered by myPAresource. If you are applying with a lower GPA, be prepared to reapply. PA school is getting more competitive every year, and it is common to not get acceptance the first year of application. You can use that year to prepare more for PA school, and to improve your application. If you feel like your GPA was the only thing that prevented admittance, then take some additional courses to both raise your GPA and show that you are capable of rigorous coursework even though you may have had some stumbling blocks in the past. You can repeat courses you had lower grades in or take some more advanced science courses. It is very important that you do really well in these classes because you do not want to further jeopardize your GPA or your application. If you do repeat some prerequisites and do better, it's important to note that CASPA averages all grades in their calculations. Here is a post all about calculating your CASPA GPAs. You may want to consider schools that recalculate your GPA based on the higher scores or look closer at the last 40 or 60 hours of coursework. Here is a list of some schools that have post-bac classes you may want to look into. While in a gap year, you want to be improving your application in other ways as well, such as volunteering and HCE, but not at the expense of your coursework. It's important to find a good balance because you want to be able to show how your application has improved during the next application cycle. When choosing which schools to apply to, you'll need to check their minimum requirements before applying. It's not worth your time or money to get an instant rejection based on your GPA. Most programs list this on their website and you can find it in our Program Spotlights as well. An interesting option that has come up for students with lower GPAs is to go the nurse practitioner (NP) route, as opposed to the PA route. While I am in no way the expert on all things NP, it's a reasonable option because depending on the state, most NPs and PAs operate quite similarly. I think a lot of that has to do with who you are as a person. This path would mean going to nursing school to get an RN, and most are 2 year programs once you have the correct prerequisites. Some NP programs require experience working as a nurse before applying, and there are some accelerated programs as well. There are many more nursing programs than PA programs, and they are typically easier to get into to at the BSN level. 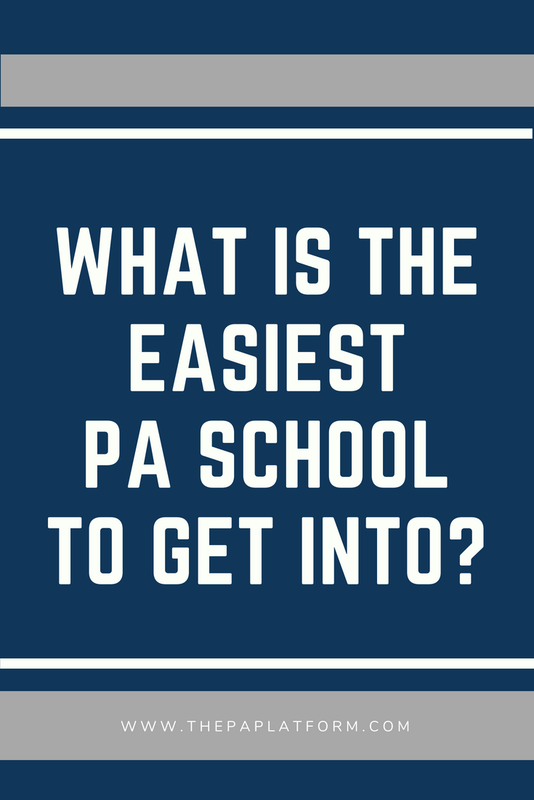 If you are struggling to decide if you should apply to PA school, where you should apply, or what courses you may want to take or re-take, make sure to get some advice. Whether that's a PA, a student advisor, fellow students on Reddit, or through a Pre-PA assessment here, it's always better to have a neutral party evaluate where you're at and offer their opinion. Comment below with any advice or questions about GPA!